Our PHP scripts use the so called MVC programming model. MVC stands for Model View Controller. The purpose of using MVC in our scripts is to make it easier to isolate different elements of the software process. By using the MVC system, the script code is divided into three parts: the data processing, the input process and the output process. This means that changes to one part of the PHP script code can be made more smoothly without having to also rewrite the other parts of the script. For example if you want to change the layout of the script you will only have to edit the files reponsible for generating the layout and not those which actually process all the data. We use our own in-house build framework which is really easy to understand and work with. 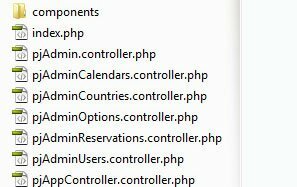 Below you can see a sample file strucutre for our PHP scripts. core - this is the folder where framework files are and as per our license agreement you cannot modify them as they are obfusticated. Even without access to the framework code you can do any change to our scripts - change layout, add/edit/delete fields, add/edit/delete features, and so on. Upon request we can provide documentation for the framework so you can study how it works. More about Controllers and Views below. plugins - we use different plugins for the most popular functionalities. For example a PayPal payment plugin which is the same for all our products. 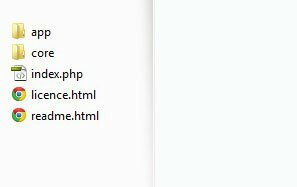 these are the layout files for backend and front end. 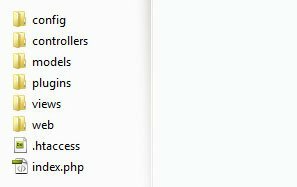 They are organized in sub-folders where folder name is the section of the script and its files are the actual pages. 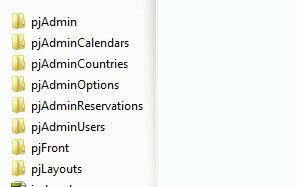 For example in subfolder pjAdminOptions you will find the files for the script layout related to admin page where script options are managed. We also have most of the code used multiple times taken out in different files (/components/) so if you need to make a change to it, you only need to edit it in one place.